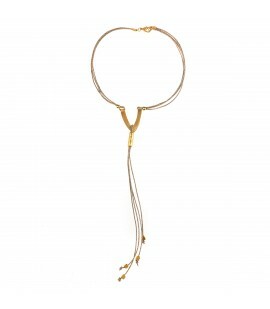 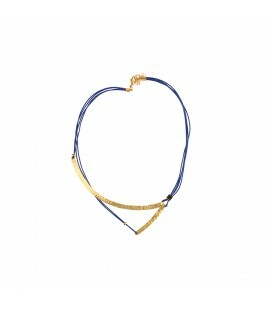 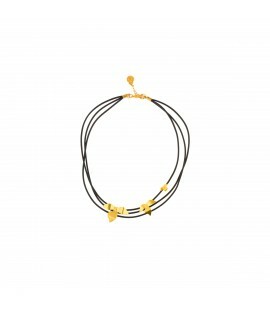 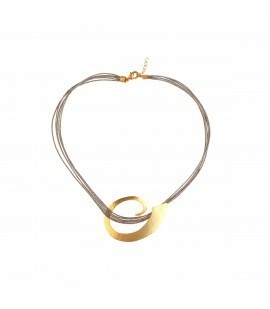 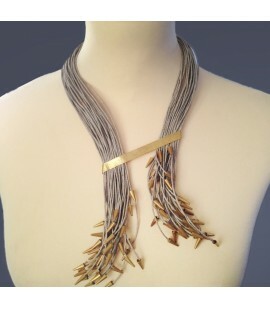 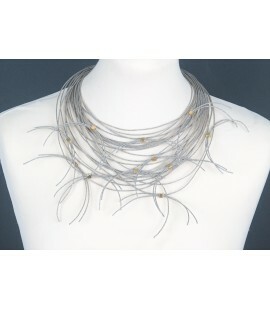 Delicate necklace made of bronze gold plated element and linen or waxed colored cords. 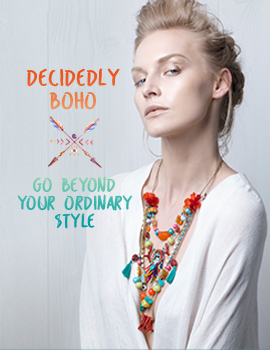 A stylish every day accent. 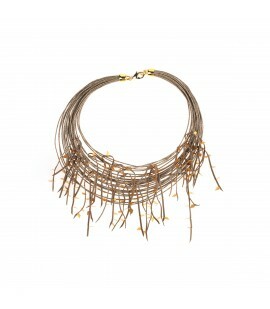 Stylish necklace handcrafted of Italian pure linen chords and bronze gold plated elements. 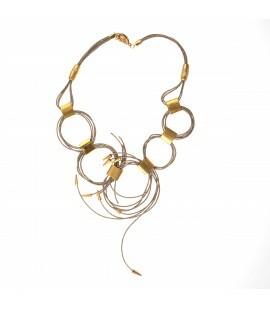 Elegant necklace handcrafted from Italian pure linen chords and bronze gold plated elements.